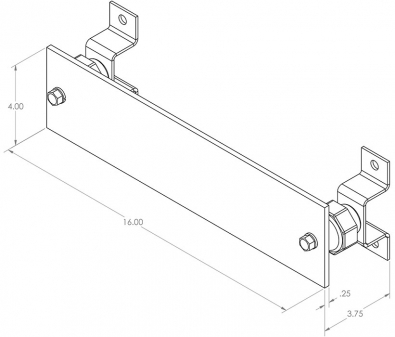 Ideal for a quick fix to your ground bar needs, this ground bar is pre-cut with ONLY mounting holes. The center of the ground bar is ready for you to drill holes where you need them, when you need them. The 4200-S5 standoff insulators are made from fiberglass-reinforced thermo-set polyester with higher moisture, heat tolerance, and mechanical strength to enable electrical installers to crank up closer height tolerances, making more suitable for ground bar and perimeter grounding applications. This ground bar is ideal for custom connectors and bus bars. If the client has the means to drill their own hole patterns, this is the right product for quick shipment and no lead time.